When Katya loses control of her power to freeze, her villagers banish her to the palace of the terrifying Prince Sasha in Kiev. Expecting punishment, she is surprised to find instead that Sasha is just like her-with the ability to summon fire. Sasha offers Katya friendship and the chance to embrace her power rather than fear it. But outside the walls of Kiev, Sasha's enemies are organizing an army of people bent on taking over the entire world. Together, Katya's and Sasha's powers are a fearsome weapon. But as their enemies draw nearer, will fire and frost be enough to save the world? Or will Katya and Sasha lose everything they hold dear? Jessica Leake is the author of the adult novels Arcana and The Order of the Eternal Sun, both with Skyhorse. She worked for years as a psychotherapist, but even though she loved her clients, she couldn't stop writing. She lives in South Carolina with her husband, four young children, lots of chickens, and two dogs who keep everyone in line. 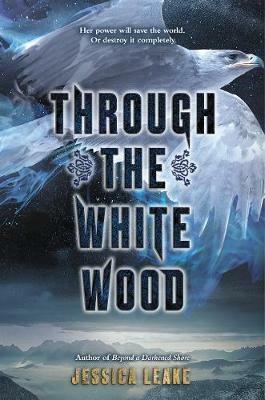 Beyond a Darkened Shore is her YA debut and is followed by Through the White Wood. Visit her at www.jessicaleake.com.